One more photo of Chang Mai, Thailand. I didn’t have time to do all the things I wanted to do while I was there. 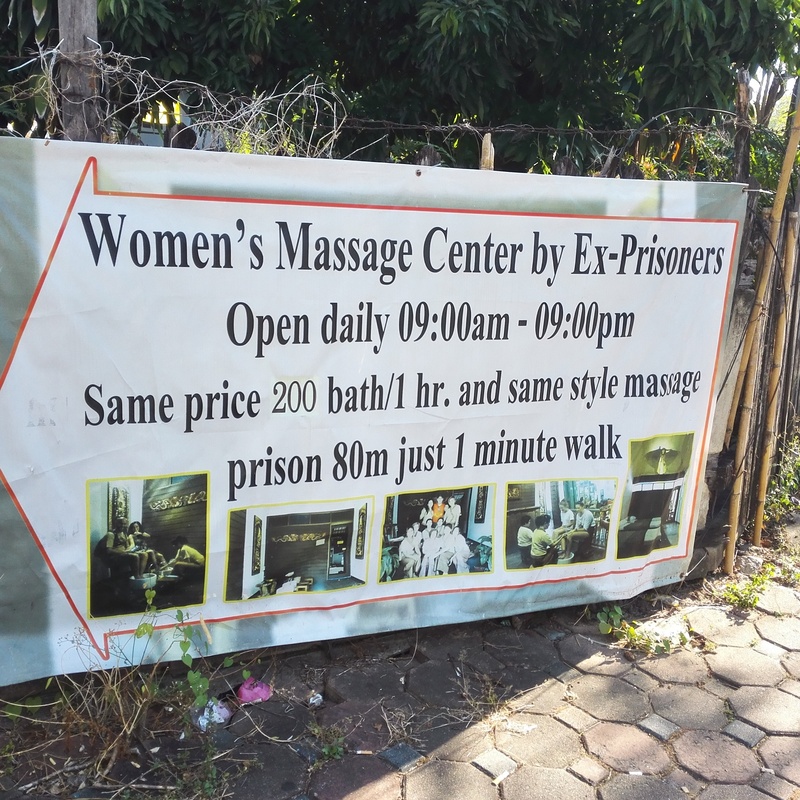 The price works out to between 5 and 6 dollars for one hour. China Green Card will be Easier ? A current Associated Press report is copyrighted, but is reporting that the government is interested in having more foreigners move to, reside in, and work in China. It is considered a way of improving the economy. This is extraordinary news. My British friend and I have both tried to stay in China, with significant resistance from the authorities. I am only able to remain in China as a tourist, with a ten year tourist visa. It requires me to leave the country every 60 days to avoid violation. My British friend is only able to get a 30 day visa to accomplish the same goal. It kind of takes any financial incentive out of trying to stay here. So if the government is planning a change, it will have to happen pretty soon to save two of us. I’ve been supporting Guizhou Province people in my own way for nearly 25 years. I welcomed the students from Guizhou when they attended Oakland University (Michigan) in the 90s. I trained teachers in Guizhou in 2000 under Oakland U’s Summer Institute, and have taught English to Guizhou People for nine of the last fifteen years. After teaching at Guizhou Normal University for four years, my contract ended without renewal last August. I never received a warning of my demise or coherent explanation. Now at age 65 I can’t get that “Expert Certificate” that I had received nine prior years as an English Teacher. I don’t regret my service to the Guizhou People. It’s still the poorest province in China, except for Tibet. I am, however, looking forward to seeing this new enlightened policy in action. Koh Chang is called Elephant Island in the Gulf of Thailand. It is accessed by modern ferry and has a small townish feeling to it. We went on a snorkel trip with www.scubadawgs.com. I visited my old teacher, Cao Laoshi and we took a couple of his students to this island resort. We stayed Cao and I had one tent and the students had another.